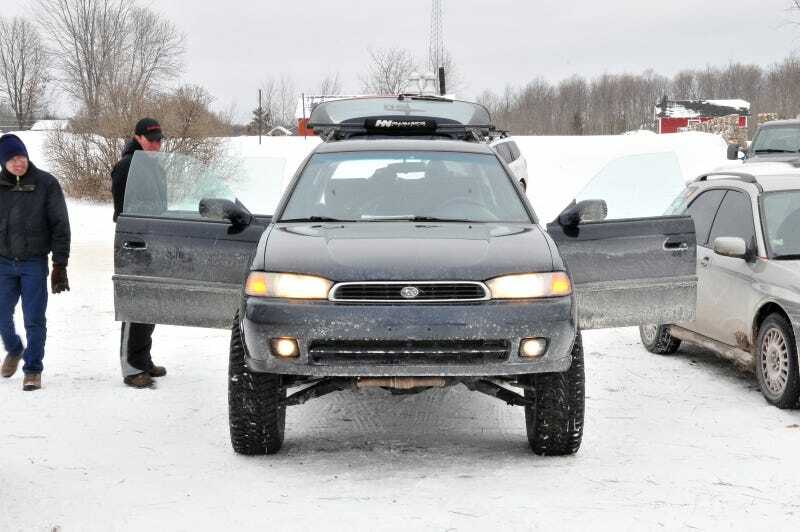 While walking around one of the spectator parking areas at last weekend's Sno*Drift Rally, we came upon this Subaru Legacy wagon. We have two questions: A) What the hell is going on here? and B) How can we get some? B) Buy a Legwagon, space the subframes down, find some longer struts, and go to town. Rally geeks: gotta love 'em. Someone call us and let us drive this beast. Stat.